Many African voices reacted to the remarks of French President Emmanuel Macron at the end of the G20 summit in Germany. According to him, Africa is facing “a civilizational challenge” and its women, who give birth to “seven to eight children”, are jeopardizing the continent’s future by annihilating all development efforts. Africans who wrote editorials to express their exasperation were right to do so. It is not because we are poor and weak that we must accept being preached to, even insulted, by every French president who comes to power. However, by being distracted by haphazard communication, we run the risk of missing the essential challenge: the abandonment by Africans of ideas and action in key areas of their future, especially in Francophone Africa, by France and its partners in the European Union. On invitation in Bamako on July 2nd at the G5 Sahel summit, a new organization bringing together Burkina Faso, Mali, Mauritania, Niger and Chad, President Macron announced not only France’s financial and logistical support to the future Joint Force of the G5 Sahel, but also the advent of an “Alliance for the Sahel”. This initiative was launched at the Franco-German Council of Ministers on July 13th, signaling an increasingly strong partnership between Paris and Berlin on African issues. The European’s political objectives are openly expressed: to contain and prevent “massive” African immigration in Europe and to reduce the spread of “Islamist terrorism”. These two vital threats would be fueled by the millions of young Africans who are unemployed and without prospects in their countries of origin. It is because they are already numerous and expected to grow exponentially in the coming decades that African demography has become a major subject of concern for Europe. The economic objectives of European states and companies are, as always, less openly expressed. There is nothing wrong with recognizing what everyone knows: the “development” of poor countries are also guaranteed markets for rich countries and provide very useful margins for negotiating supplies of raw materials in very advantageous conditions. The extent of the Franco-European military and security presence in the Sahel, on the one hand, and the new Alliance for the Sahel, on the other, illustrate the profound disarray the vast West African region has been experiencing. The Sahel’s two-fold reliance on security and development finance from France and Europe reflects a more worrisome trend: an unprecedented weakening of African regional organizations against a backdrop of a deep leadership crisis and lack of political vision at national level in the countries of the region. The French president dared to speak with confidence about African fertility because his diplomatic services, military staff, intelligence agencies, large development agency, research centers specialized on development issues and his multinationals – who make their biggest margins in Africa-, have a quite elaborate knowledge of the realities and current dynamics of the continent. France has always maintained its academic research and strategic anticipation capacity on Africa. She has had, in any case, the intelligence, not to limit herself to her former colonies. The French president’s “lesson on the problems of Africa” ​​in Hamburg was singularly lacking in historical depth, diplomatic reserve and respect, but his diagnosis of African problems was not entirely erroneous. The challenges posed by criminal trafficking, terrorism, lack of prospects for young people, “complex political transitions” and “failed states” are real. The fact that many failed states were engineered or nurtured largely by France, does not change the fact that they primarily compromise the future of Africans. African countries should have never allowed these fragilities to reach the present level of severity. They should never have created the conditions for the deployment of external “aid”, paternalism and a state of dependence that is so blatant. If West Africa, and not only the countries of the Sahel, is in this situation, it is essentially because it allows itself to be fragmented instead of consolidating its integration. If West Africa is here, it is because all of its potentially leading countries have been damaged for twenty years, engulfed in serious crises. This is because Nigeria, the demographic and economic giant, no longer plays its driving role in this space, occupied as it is by its multiple cracks, and handicapped by a series of presidential casting errors with serious consequences. This is also due to the lack of strategic research centers in West Africa to inform the decision-making of senior leaders of countries and regional organizations. Instead of advancing in a process of rationalization of regional organizations and the political and economic fusion of Francophone, Anglophone and Lusophone areas, the heads of State have multiplied initiatives in competing institutional frameworks. The crisis in Mali since 2012 has opened a boulevard for the creation of a new autonomous geopolitical entity: the Sahel, now endowed with its own organization, the G5 Sahel. 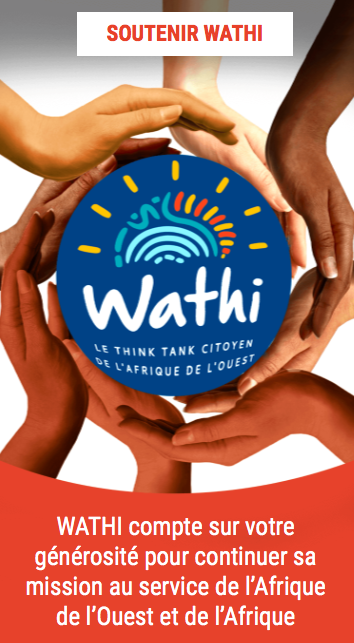 Without questioning the existence of specific challenges in the Sahel countries, it is certain that its problems could have been addressed within the framework of the Economic Community of West African States (ECOWAS). The organization could have seized the opportunity to create a space for institutionalized dialogue with non-member countries bordering the Community such as Mauritania, Chad and Cameroon. The difficulties of Nigeria, the shyness of Ghana on the regional scene, the political and security fragility of Côte d’Ivoire and the small economic size of the other countries, have offered, on a problematic scale, the region up on a silver platter to a long-lasting French and European influence. Accepting the progressive geopolitical detachment of the Sahel from institutional West Africa, embodied so far by ECOWAS, could be a major strategic mistake. This might lead to a breakdown of the dynamics of solidarity between coastal and landlocked countries and jeopardize crucial projects of West African integration. The information available on the Alliance for the Sahel mentions neither ECOWAS nor the African Union as the political framework for dialogue between the Sahel countries and their international partners. Since 2012, the French and European commitments on security in the countries of the Sahel have undoubtedly done more good than harm. 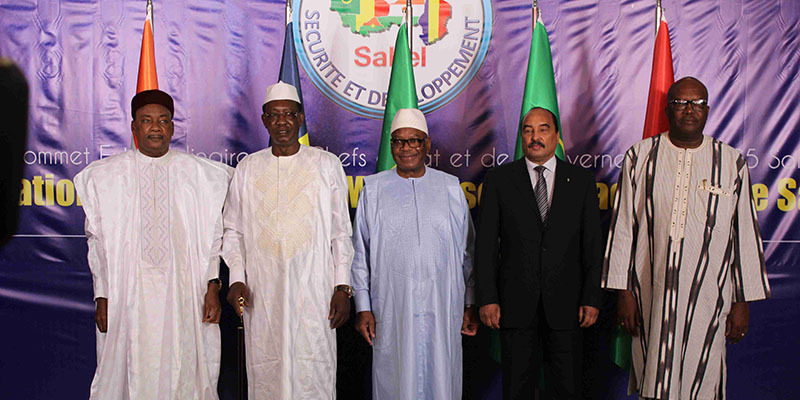 The new perspectives developed by the Sahel Alliance can contribute to progress in these countries. This is provided that they ensure that they do not freeze the profound changes that must take place in political practices and the functioning of the states, and provided that the West African region’s integration path is not distorted. If millions of young people were to emigrate from the Sahel countries in search of a better life in the coming years and decades, they would initially go largely to other African countries and not to Europe. The problems of the Sahel are those of West Africa and Africa. So are the richness and potential of the Sahel. The future of the Sahel does not lie in its re-colonization. Note: la version originale en français ​de cet article a été publiée sur le site Le Monde Afrique sous le titre “Le spectre de la fragmentation de l’Afrique de l’Ouest et de la recolonisation du Sahel.​” ​La version anglaise a été traduite et révisée par WATHI. If the Mali crisis could have been solved by ECOWAS, then why wasn’t it? It seems to me that it could have been solved by ECOWAS in a fantasy world in which ECOWAS would be a properly functioning organisation, and in which ECOWAS members would feel concerned by what happens in their neighbours’ backyards. In real life however, if ECOWAS could solve such crisis, then it would do so. If it doesn’t, then it is clear it is beacuse it can’t. You might want to look at a few facts: France has carefully avoided any interference in Mali’s political negotiation, as it is aware that only Malians can solve the political conflict between the Malian state and Mali’s Sahrawi populations. It’s only role has been to pressure Mali’s government into entering discussions. France also supports many regional initiatives in the field of secuirty, and not only the G5 Sahel. It has helped develop the new agreement announced last week by five ECOWAS countries to share intelligence. As for the hypothesis that France would be serving its economic interest, would you mind naming one single resource that French corporates could not get for a cheap price from more peaceful regions in the world, without France having to spend billions on insuring security? For instance, uranium, said to be the reason for a secret conspiracy from France, can be acquired from about 20 different countries, many of which are almost as poor as Niger and sell it for a very cheap price. Why then should France waste its military resources in the Sahel if it can guarantee its avitailment in uranium in an easier, cheaper and safer way from Kazakstan or Canada? It doesn’t make much sense, does it? It is France interest to limit migration through the Sahara and the Mediterranean, whle African countries have let it grow for decades. When African migrants were being enslaved in Libya, and big anti-migrant riots were occuring in 2003 and 2007, where were ECOWAS nations? What were they doing? Their government were often quite happy to see young unemployed people leave, because it reduced political opposition to their incapable governments. We all want ECOWAS become a more successful organisation,a nd we all want to see regional crises be resolved. But denying local responsibilities and finding foreignscapegoats is not going to help! Globally, very good analysis that goes to the essential. It is weak however in underestimating the threat of radicalization into salaf-jihad that confronts the countries of West Africa where Islam is dominant or important. This is not a criticism of Islam per se, but a realization that in the battle for the “hearts and minds” of westafricaners, radical Islam seems to be winning. This development has as consequence the transformation of these societies and nations on battlegrounds sooner or later.